Russian star Dmitry Hvorostovsky has been a frequent performer at the Metropolitan Opera (the Met) since his debut in 1995 as Prince Yeletsky in the “Queen of Spades.” Although no “Eugene Onegin” is complete without the magnificent singer, he appears in many Verdi roles as well, appearing in “Il Trovatore” and “Simon Boccanegra” at the Met last season. 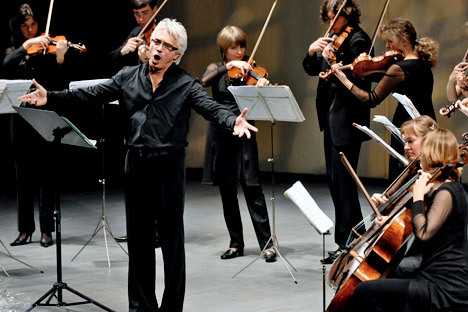 Hvorostovsky is just about as multi-faceted as they come. He’s frequently characterized as “smoldering” and “charismatic,” but his stage demeanor is never flashy. Despite being a ticket-selling name that crosses over into Andrea Bocelli-like amped-up pop music, he never loses the respect of both fans and critics when he sings traditional opera roles. His style of singing and voice is distinctly Russian, yet he is much appreciated in standard Italian repertoire. In Ernani, Hvorostovsky plays the role of King Carlos of Spain, the love rival of the bandit Ernani, a former nobleman who lost his title and wealth in a civil war. King Carlos eventually relents and allows Ernani to marry Elvira, but Elvira’s uncle (and fiancé) comes between the star-crossed lovers again.